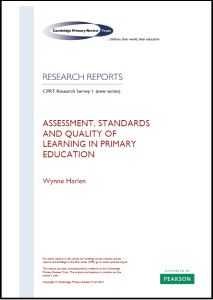 A re-assessment of the research evidence on assessment considered in the CPR final report and CPR research surveys 4/1 (‘Standards and quality in English primary schools: the national evidence’), 4/2 (‘Standards in English primary education: the international evidence’) and 3/4 (‘The quality of learning: assessment alternatives for primary education’). The latter was also undertaken by Wynne Harlen. 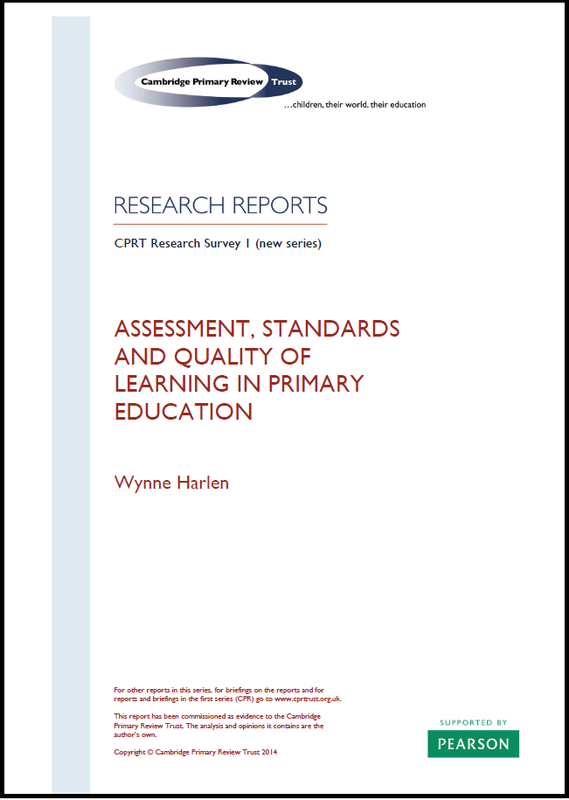 (a) evidence on the purposes, nature and impact of different kinds of assessment, and especially approaches to assessment for learning and accountability which do their job effectively and with minimal collateral damage, and which both provide valid and useful information and enhance children’s learning; (b) evidence on the strengths, weaknesses, impact, uses and abuses of those approaches to and requirements for assessment and testing that have been embedded in policy by successive governments, including the current government’s new assessment and accountability framework. The Cambridge Primary Review Research Surveys, chapters 17, 18, 19, 28 and 29.